In any business, your main priorities should include keeping your clients happy and maintaining an ever-expanding customer base. There are various ways of doing this. For the sake of this post, we’ll discuss how you can use Facebook as a way to promote your business and build your list. 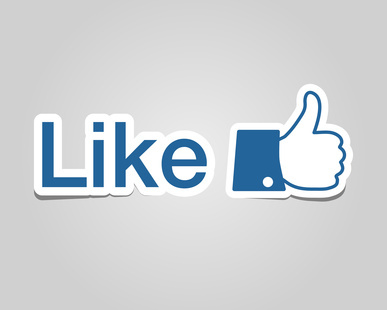 An easy and free way to build up your list of prospects is through gaining “likes” on your Facebook page. There are many stats online saying how much time people spend on social media, particularly Facebook. Regardless of what stat you find, it’s going to be a lot. Think about how many times a day you check your social sites for your business or other. Take advantage of these minutes! Display your Facebook page’s URL on signage, banners and flyers. Place the “Like us on Facebook” widget on your website and blog. Each time you have a visitor, they are able to share your information and, in turn, increase your likes on your Facebook page. Incentivize Facebook users to like your page by offering exclusive, fan-only discounts and deals. In addition, you can use your page to invite fans to sales and promotions. Be sure to update your Facebook page often with interesting content but not so often that you become white noise. It’s up to you to determine a frequency that your customers appreciate and that you can accommodate. Offer in-store customers or new potential customers at networking events a small discount or gift for Liking or checking into your business. This is a brilliant way to build up your number of likes and encourage people to promote your business. This tactic also stimulates repeat business, builds customer loyalty and could potentially start a viral spread of your business details when these customers share your brand to their friends. Facebook Offers is a wonderful, free feature, allowing businesses to share discounts with their customers by posting an offer on their Facebook Page. When someone claims an offer, he or she receive an email that can be used at the business (online or in-store) to get the discount. You can create an offer from your page or from the ads create tool. This feature will help you spread brand awareness and attract new customers. Give current customers a heads up about your Facebook offers. If they’re not already fans of your page, letting them in on the offer is an easy way to earn a “like” and potentially boost sales. Though it may cost you a small sum, taking advantage of the Facebook Ads to promote your business is a fantastic way to target your niche market. With Facebook Ads, you can decide exactly who gets to see your ads from a range of variables, including age, gender, location and even interests. Once you have your ad in place, you can test images, headlines and calls to action. If after some time you feel that the advertising on Facebook is not reaping the rewards you had hoped, you can cancel the campaign at any time. It’s a low risk marketing option with the potential for high rewards. 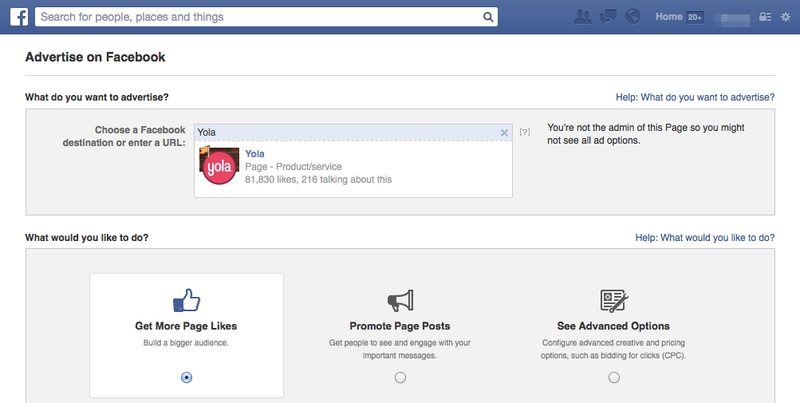 Facebook also has analytics available that track the usage and interaction with your Facebook page and business. It’s available free to every page owner. Make use of these valuable insights to see how many people are interacting with your page, what content is of most interest and demographics. You can then adjust your content, advertising, Facebook page and blog activities accordingly. Using your Facebook page correctly to market your company and its services is an easy and inexpensive way to encourage new likes and fans, as well as build a loyal customer. Thanks for sharing useful ideas. A “Like” bonus or a gift is a great idea! From our experience it can really help you get more organic traffic if you offer something like a coupon or a discount to your fans. According to the statistics, more than half of users like the pages in order to keep up with any promotions, so this fact can be really useful for getting more people to like your page.